Cash flow is huge for pet sitters and dog walkers. One of the most effective ways to ensure positive cash flow is getting your clients to pre-pay for services. And one of the most effective ways to get clients to pre-pay is to offer packages. 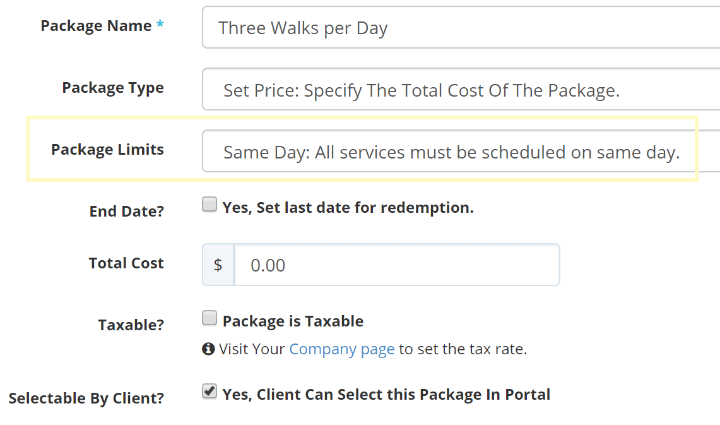 Packages allow you to bundle services together and sell them at a discount to clients who are willing to pay up front! When a customer pre-pays for a package, you may want to enforce some limits on them to entice the client to use their visits. Packages support three unique limit types. Same day, same week and same month. When you have multiple clients purchasing packages - it can be difficult to keep track of them. 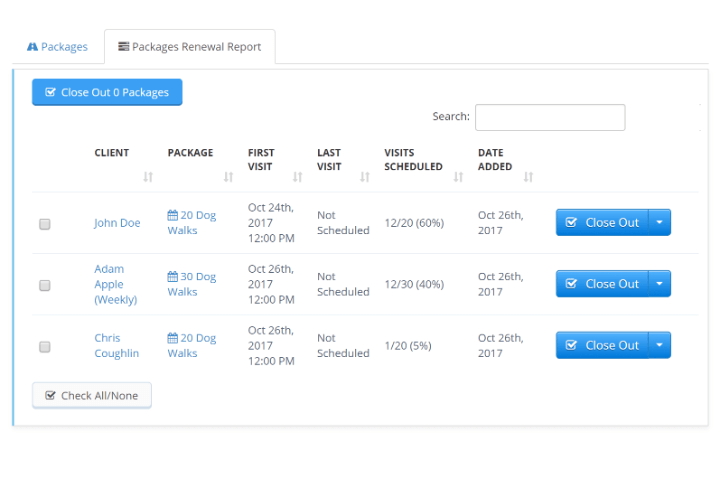 Time To Pet provides robust reporting to see exactly how many visits a client has left in their package. Are they almost done? You can easily add a new package for them using the packages renewal report!